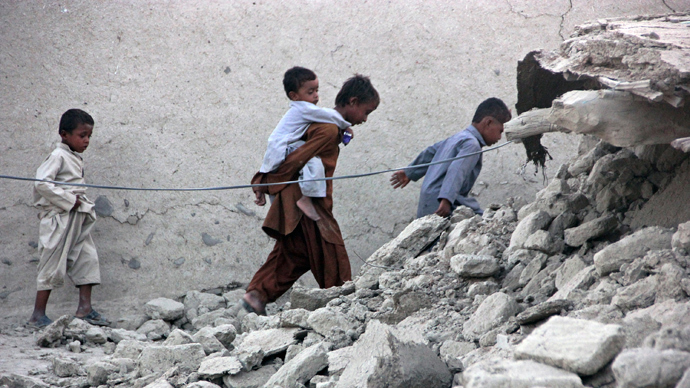 At least 22 people have reportedly been killed as a second powerful earthquake has struck Balochistan in southwestern Pakistan, the region where another deadly quake claimed over 500 lives earlier this week. Over 50 people were reportedly injured on Saturday. The new, 6.8-magnitude tremor struck 96 kilometers (59 miles) northeast of the Awaran district at 0734 GMT on Saturday, at a depth of 14 kilometers, the US Geological Survey reported. 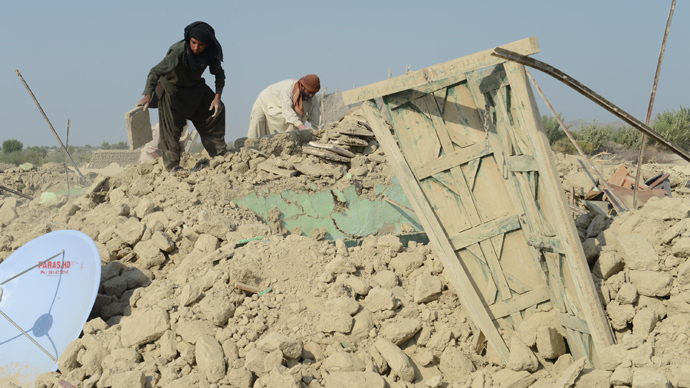 The local meteorological office recorded the intensity of the earthquake at 7.2 on the Richter scale and said the epicenter of the quake was 150 kilometers southwest of the town of Khuzdar, which is home to over 500,000 people. "It was not an aftershock, it was an independent earthquake," Zahid Rafi, director of the National Seismic Center of Pakistan, told Geo TV. 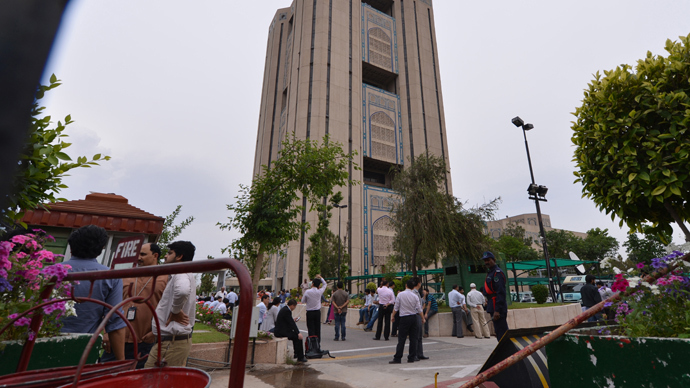 However, Pakistan’s chief meteorologist, Arif Mahmood, told a local TV station that the tremor was an aftershock from Tuesday’s earthquake and could be followed by further tremors for weeks to come. 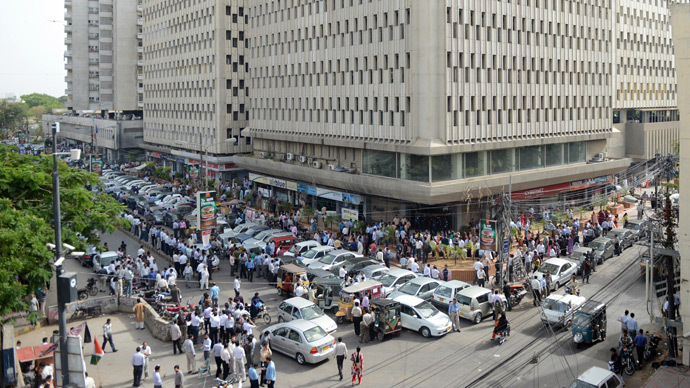 Tremors have been felt as far away as the Indian capital, New Delhi, NDTV reports. Over 300,000 people were affected by Tuesday’s 7.7 magnitude quake, as over 20,000 houses in the region were destroyed. Babar Yaqoob, chief secretary of Balochistan, said Friday that 515 people have been confirmed dead and dozens of bodies are being recovered every day. Balochistan is a remote region in the country's southwest which covers 15,400 square miles - an area almost double the size of New Jersey. The area is also a stronghold for Islamist insurgents, and militants shot at helicopters carrying military authorities responsible for dealing with the disaster. On Thursday, two rockets narrowly missed the helicopter carrying the general in charge of the National Disaster Management Agency, and on Friday shots were fired at two helicopters carrying aid, Reuters reported the military as saying.